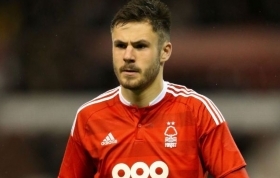 Ben Brereton has emerged on the senior football scene this season at Championship side Nottingham Forest. At the age of just seventeen, several big clubs have shown interest in the talented youngster, including Manchester United, Liverpool and Everton. In what has been a poor season for the Midlands club, one highlight has been the development of yet another product of their youth academy, as Ben Brereton was given his chance in the first team, and has remained there ever since. At six foot tall, Brereton has a strong aerial presence, but also has plenty of pace, making him difficult for defenders to handle. He is a natural striker, a position which he has most commonly been seen playing in the Championship so far, however in Nottingham Forest's recent match against Derby County, Brereton was utilised in an attacking right wing position. Despite being in a position that he is not used to, the youngster was still able to pin back the opposition's full back, whilst also moving into the box to offer an option for the other winger. In his ten senior appearances so far, Brereton has scored three goals and assisted two. His good form has seen him earn his first England under-19s call up, as he looks to establish himself on the international scene, with a view to achieving a senior team cap in the future. If Nottingham Forest can survive in the Championship this season, it may be best for both parties for Brereton to remain at the City Ground for a while longer, as he gains more senior football experience. However, when Premier League clubs come knocking, it can be very difficult to turn them down. If his development continues the way that it has been going, Brereton has the ability and attributes to be a Premier League striker is seasons to come.